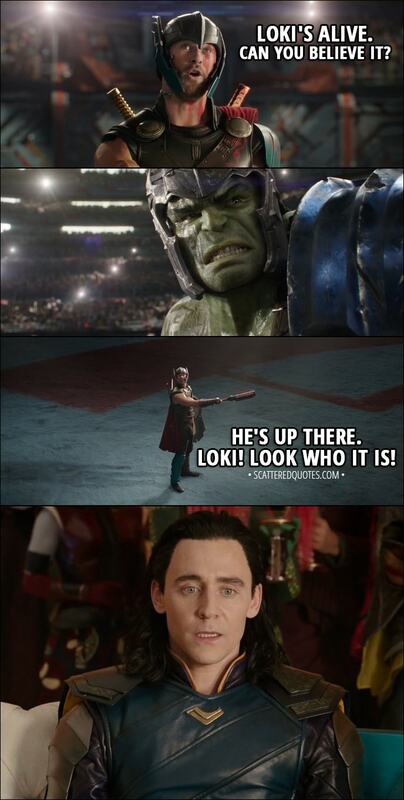 Thor (to Hulk): Loki’s alive. Can you believe it? He’s up there. Loki! Look who it is! 18.2.2018 Loki! Look who it is!